The Web Summit is the largest technology marketplace in Europe and the second biggest in the world, and this year brought together more than 45,000 attendees and 2,000 volunteers from more than 165 countries including 1490 international tech start-ups. How to best describe the experience? It was a buzzing atmosphere including a mix of start-ups, investors and professionals, a variety of content from tech to music and sport, renowned speakers and a family of volunteers that gave their best to make this a successful event. We’ve seen expert talks from global leaders, including the CTO of Facebook – Mike Schroepfer, the Co-Founder of Tinder – Sean Rad and CEO of VaynerMedia – Gary Vaynerchuk to name just a few. The conference attracted people with the biggest ideas in tech to connect and collaborate across four full-on days and nights. While Web Summit gathered the techpreneurs community from around the world, it also had an huge impact on the host city – Lisbon. There’s a growing awareness in the MICE industry that the legacy business outcomes of meetings have an equally valuable impact on local communities in host destinations, in terms of knowledge sharing, city branding, outside investment, talent relocation, academic research and new business relationships. Lisbon has now been established as a start-up city, with young and vibrant entrepreneurs ready to explore new ideas. 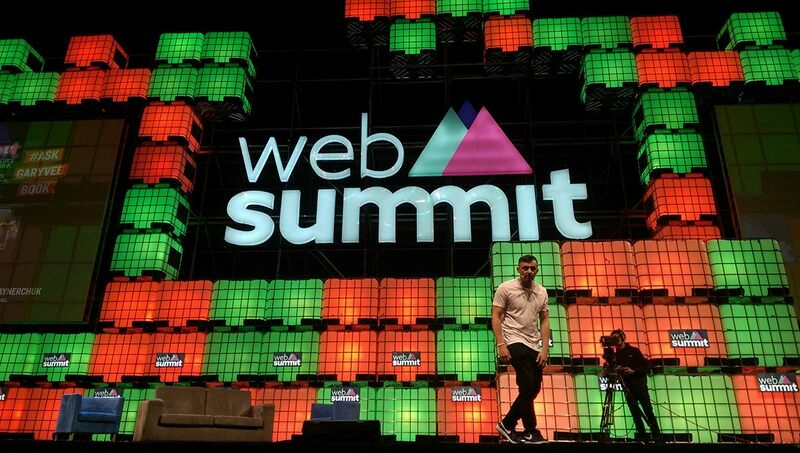 Web Summit will now be hosted in Lisbon for the next three years so will be great to see the legacy this will bring to the city over the next few years. While planning major events like this is great opportunity for networking, exchanging ideas and escaping the daily routine, here are three top things to consider when planning a 45,000 + event. Attendees play the most important role when planning an event and their experience and expectations have to be met, or even better exceeded. The overall perception of the event was good and the Web Summit app was a brilliant solution for establishing connection and setting up meetings with other professionals, attendees, speakers and start-ups exhibiting. There was also a live agenda for all stages and an option for you to plan your days by selecting the talks you would’ve liked to attend. On top of this, the app featured a video gallery were you could reply all the content at a later stage. Solution: Although registration areas have been in place at the airport and venue before the event, the attendees arriving on the day of the event were waiting quite a long time to get their badges. As everyone had a unique QR code on the app, the security team could’ve used scanners to allow access into the venue or attendees could’ve printed their own badges at home. All speakers had to arrive at the main stage where the speaker lounge was located, however they had to walk another 15 minutes to Hall 4 in order to register. A solution for the next event is to have a separate registration for speakers at the speakers lounge. Content is understanding where your event can add value. We had great speakers and leaders from the industry but there were still loads of reviews on social media about the content of their presentations or talks: “mostly general, absolutely none insight”. A few journalist said that there wasn’t enough time to have a in-depth conversation and look at the topics in more detail and some attendees suggested that it didn’t offer them different ideas or views that they could go away with and implement to their own business. Solution: Carefully select the speakers and give advice and guidance on the topic / content / value of their presentation. There is no point to have great names if the presentation or talk doesn’t bring any value to the attendees. Consider for the next event to ask attendees what are their challenges or where they need help and try to develop content around those areas. A 20 minute slot works really well for Ted Talks where the speakers have to deliver one clear and simple message using the art of storytelling, but it might not work for a tech company CEO. Out of all the talks that I’ve seen at the main centre stage only two actually engaged with the audience and found the content very useful: Gary Vaynerchuck, VaynerMedia and Joseph Gordon-Levitt, hitRECord. Bottom line, everyone I met from volunteers, attendees, start-ups and Web Summit staff had a passion for tech and gave their best to make this a successful event from planning to delivery. The downside is that when you are organising an event of this scale, you are always going to have people that had an absolutely brilliant experience and others that had a bad one. However, as anything else in life we learn from experience and I’m sure the Web Summit staff will implement new ideas to make the next Web Summit even more awesome. If you are an event manager, thank you for reading this far and hopefully the information provided is valuable and useful. If you are a event management student looking for a volunteer programme this would be a great opportunity to experience what would it look like to plan and deliver a large scale event. The experience is definitely invaluable. Why volunteer if you already have experience in events management? Well, it’s good to get out of your comfort zone and try new things. Volunteering is the best avenue to do this, it’s even better when it’s in a country / city that you aren’t familiar with. You find out new things that you can implement straight away for your events, develop your business network and create new partnerships.